Simca - I Say Ding Dong Shop - Buy Stickers, Decals & Unique Automobilia. 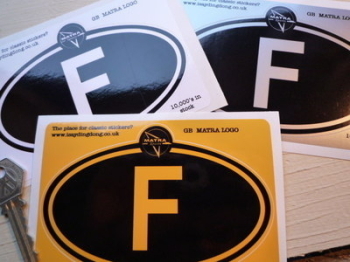 Matra-Simca Black & Clear or Black & Silver Circular Stickers. 3.5" Pair. Matra-Simca. Black & White or Black & Clear Circular Stickers. 3" Pair. Simca Chequered Top Sticker. 4" x 8". 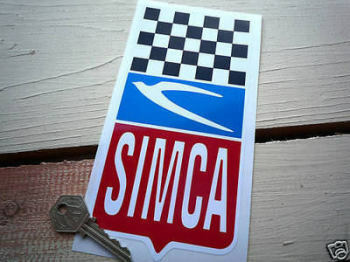 Simca Flag & Scroll Sticker. 3.75". 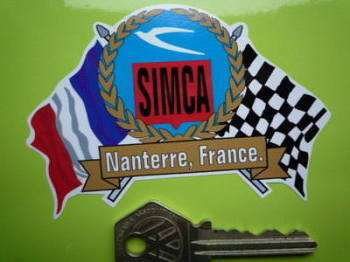 Simca France Tricolore Style Stickers. 2" Pair. 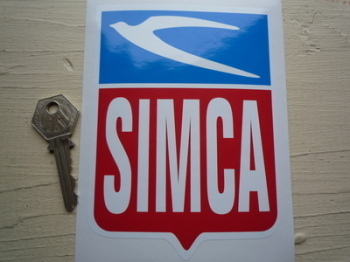 Simca Later Style Shield Sticker. 4" x 5.5". Simca Logo Circular Laser Cut Self Adhesive Car Badge. 25mm. 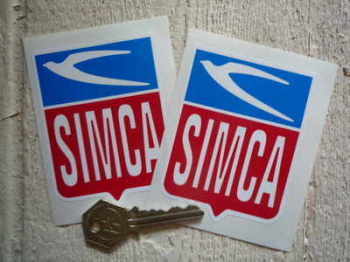 Simca Old Style Shield Sticker. 4" x 5.5". 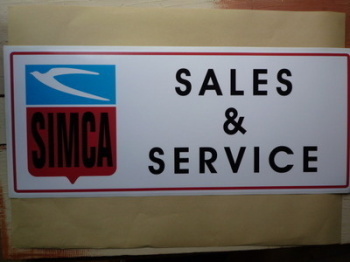 Simca Sales & Service Workshop Sticker. 23.5". Simca Shield Stickers. 2.5" Pair. Simca Tyre Pressure Stickers. 1.75" Pair.